Photograph courtesy of Root Baking Co.
After serving their specialty bread loafs to Charleston residents for the past 3 years, husband-and-wife team Chris Wilkins and Nicole Lewis have made their way down to Atlanta and opened bakery and cafe Root Baking Co. in Ponce City Market on Thursday. 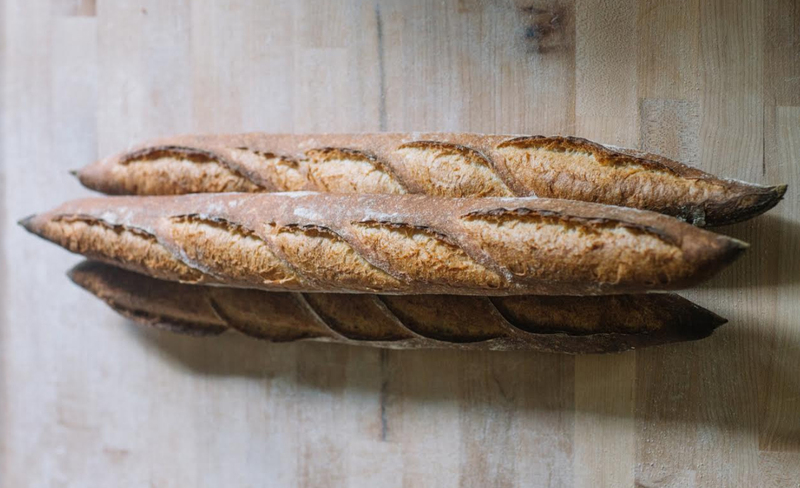 Wilkins and Lewis, a pharmacist by trade, often partner up with local breweries and distilleries to buy grain, since a small bakery can only store and use so much. Through these partnerships, they can make it worth it for the farmers to grow specific kinds of grains. “Committing to buy a specific amount and partnering up with larger entities allows the farmers to bring in more revenue to build a sustainable business and the security that their product won’t go unused,” Wilkins says. 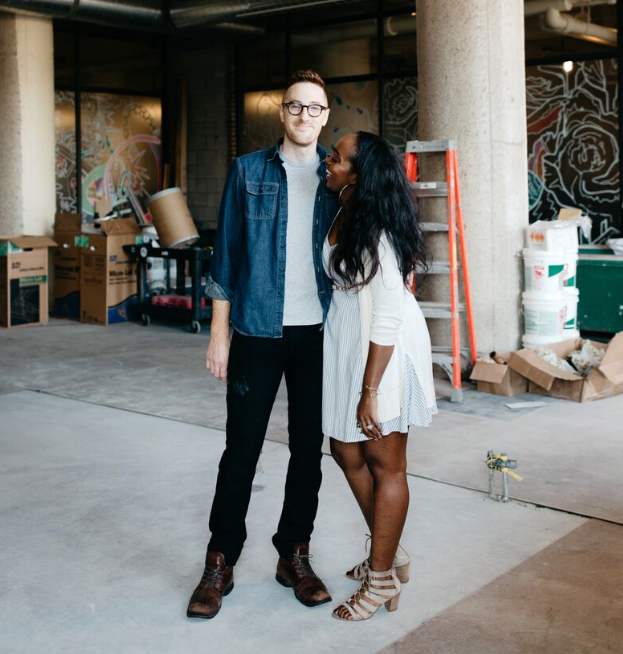 Opened in 2015, Root operated as a wholesale-only business, but the couple wanted to experiment with serving more baked goods and vegetable-driven entrees. Unable to find a good fit for a cafe in Charleston, they made their way to Atlanta after an opportunity for a retail space came up. Having lived and worked in Athens and Savannah previously, they knew Atlanta’s dining scene was a strong one. “Folks know good food here, just like in Charleston,” says Wilkins. The new bakery and cafe is located on the second floor of Ponce City Market, right next to the Mercury. 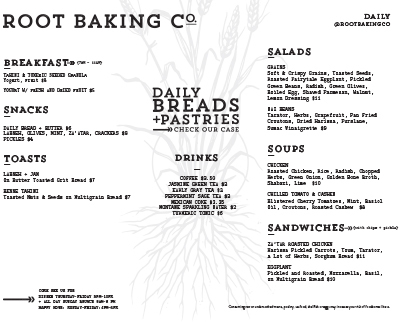 Aside from their fresh breads and pastries, Root Baking Co. offers breakfast, lunch, and dinner Monday through Saturday, as well as brunch on Sundays. Chef Matt Palmerlee, formerly of Last Word and who Wilkins met through chef Hugh Acheson, leads the kitchen and prepare dishes such as a Za’atar roasted chicken sandwich with harissa pickled carrots, and chilled tomato and cashew soup. Wilkins and Lewis hope to engage with the Atlanta community further by both participating in local causes and organizations, and once things get settled at Root, they hope to provide a platform for chefs from around the South to try new things through pop-up events. “We are friends with so many talented chefs, and we’re so lucky to have them in our lives that we will just strong-arm them into agreeing to come cook food in our space,” he jokes.